MIDDLETON, Wis.--(BUSINESS WIRE)--Spectrum Brands Holdings, Inc. (NYSE:SPB) will unveil its latest BLACK+DECKER™ branded innovation, the 5 Minute Pizza Oven and Snack Maker to attendees at the 2015 International Home + Housewares Show, in Chicago March 7th – 10th. The best pizzeria pizza is cooked quickly with intense heat to seal in the moisture, yet still provide that perfect crisp crust. Inspired by this time-tested technique, the 5 Minute Pizza Oven and Snack Maker brings dinner from the freezer to the table in just 5 minutes**. The BLACK+DECKER 5 Minute Pizza Oven and Snack Maker bakes pizza to perfection in 5 minutes, ensuring a light golden crispy crust covered in perfectly cooked cheese and toppings. 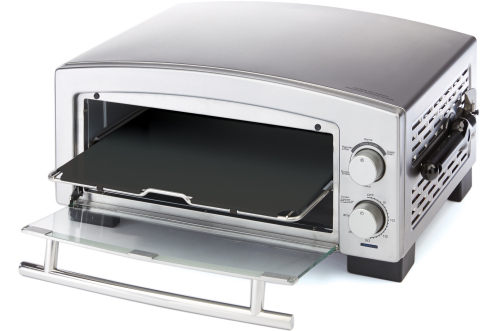 The 5 Minute Pizza Oven and Snack Maker can preheat and cook 2-3 pizzas in the time that it takes to simply preheat a conventional oven. The 5 Minute Pizza Oven and Snack Maker, which can fit up to a 12” family sized pizza, has custom engineered heating elements to accelerate cooking for perfect golden-brown cheese and crisp crust, accommodating both fresh and frozen pizzas. With a separate snack setting, the versatile oven also cooks frozen snacks. Additionally, the baking function bakes cookies or cinnamon rolls. The 5 Minute Pizza Oven and Snack Maker is equipped with a ceramic coated tray which acts like a pizza stone assisting in creating crispy crusts, and doubles as a pizza peel when used with removable handle. At this year’s Home + Housewares show, BLACK+DECKER™ brand is teaming up with Top Chef Alum and owner of Good Stuff Eatery, Spike Mendelsohn, to officially launch the 5 Minute Pizza Oven and Snack Maker. Chef Spike will host demonstrations highlighting recipes that can be made in the Pizza Oven at the Spectrum Brands’ booth (#L11331) daily. The 5 Minute Pizza Oven and Snack Maker will be available for purchase online in March and in stores this fall with a suggested retail price of $149.99. *Tested with a 12” cheese classic crust pizza and a 12” fresh thin crust pizza cooked at 120V. 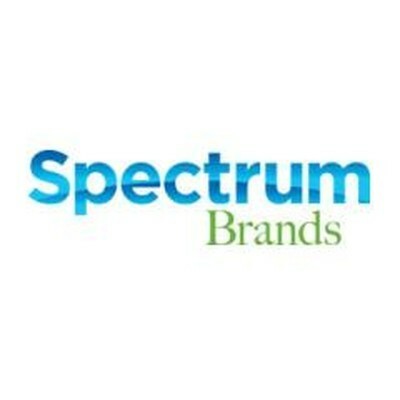 Spectrum Brands Holdings, a member of the Russell 2000 Index, is a global and diversified consumer products company and a leading supplier of consumer batteries, residential locksets, residential builders’ hardware, faucets, shaving and grooming products, personal care products, small household appliances, specialty pet supplies, lawn and garden and home pest control products, and personal insect repellents. Helping to meet the needs of consumers worldwide, our Company offers a broad portfolio of market-leading, well-known and widely trusted brands including Rayovac®, VARTA®, Kwikset®, Weiser®, Baldwin®, National Hardware®, Pfister™, Remington®, George Foreman®, Black + Decker®, Farberware®, Tetra®, Marineland®, Nature’s Miracle®, Dingo®, 8-in-1®, FURminator®, IAMS®, Eukanuba®, Healthy-Hide®, Digest-eeze™, Littermaid®, Spectracide®, Cutter®, Repel®, Hot Shot®, Black Flag® and Liquid Fence®. Spectrum Brands' products are sold by the world's top 25 retailers and are available in more than one million stores in approximately 160 countries. Spectrum Brands Holdings generated net sales of approximately $4.43 billion in fiscal 2014. For more information, visit www.spectrumbrands.com.